Let’s face the harsh truth – Resumes pile up in recruiters’ inboxes and the delete button is often hit in less than five seconds. There is indeed no fool-proof way to get your resume and cover letter picked up by recruiters. But you do have the ability to make yours more palatable and increase your chances of an interview. The JobsCentral Community team recently attended the SPRO-CaliberLink seminar, during which we heard from some recruitment experts. They gave us an idea on resumes that make an impression and those that signal red flags. 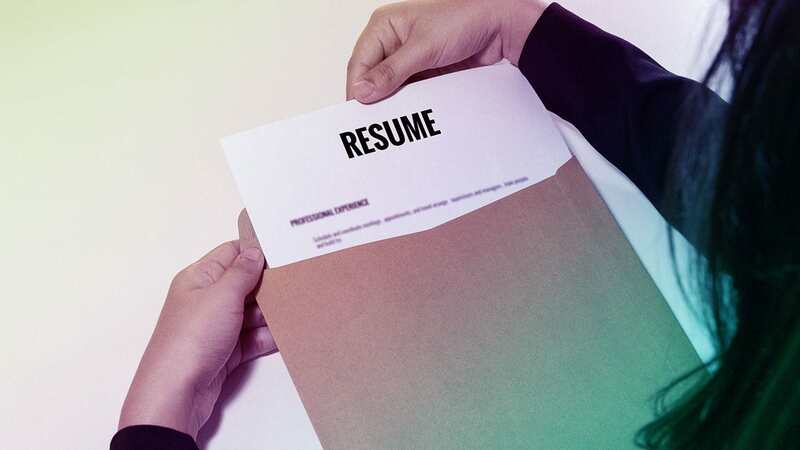 Here are some things you should know in order to craft a solid resume. Before you dive into your personal details and work experience, include a short summary at the top of your resume. This portion is your chance to highlight three unique selling points about yourself. Tap on your understanding of how to perfect your elevator pitch in order to achieve this. Jobseekers must note that a resume is a personal sales document, not a list of everything you have done in your life. Take effort to tweak your resume according to the job description in question. Use your resume to demonstrate your communication style and be sure to focus on your skills and experiences. Your resume should be no longer than four pages and contain work experience from no more than the past five years. You’d be surprised that many jobseekers fail to include their contact numbers in their resume. This not only impedes the process of contacting you – it also gives recruiters an undesirable impression of your work conduct. Hiring managers would not want to recruit someone who does not care to be meticulous and who cannot get the small things right. In your resume, exclude personal data such as your religion, marital status and political beliefs. These are irrelevant content. As much as Singapore prides itself on a non-discriminatory workforce, you don’t want opinionated recruiters to find a reason to not consider you. Flaunt Your Work Experience Your work experience should be set in the reverse chronological order. If your job title is unique, state it as how the majority would understand it and add the actual position within a bracket beside it. Furthermore, if the company is not a well-known one, include a short summary of its business or industry. To accompany your job position, include the dates of your tenure and your respective duties. However, note that the layout of your duties is not a shopping list – selectively include achievements that truly demonstrate the value you can bring. If you are a fresh graduate with no work experience, highlight key projects that have had your involvement and your internship experiences. Portray them in a way that captures your qualities and skills. Your educational qualifications should also be neatly displayed from the highest level downwards, accompanied by their respective awarding institutions. If you have not yet graduated, state your expected graduation date. Explain Your Breaks It pays to include an explanation for breaks in your career or studies. It is OK to say that you have been made redundant – after all, layoffs happen more frequently than we think. Keep the language positive and harp on the skills you have acquired throughout your career in the company. Ensure that your resume is consistent with your various online profiles such as LinkedIn. Singapore is highly saturated with LinkedIn users and recruiters pay quite a bit of money to seek out relevant resumes. Imagine the alarm that will ring off in their heads if they notice inconsistencies – even in little things such as a date mismatch – between your resume and online profile.Apart from fulfilling the age-old advice of removing provocative pictures of you online, tweak the privacy settings of any personal blogs that contain strong opinions on political issues. As previously mentioned, you don’t want recruiters to pick out something that might deter them from contacting you. Your cover letter is the first thing that will allow recruiters to set you apart from the masses. Stand out by skipping the “Dear Sir/Madam” opening – instead, hop onto social media to find out the name of the hiring manager who will be reading your resume. This ensures your application is made more personal and unlike the many others. 0 Response to "Crafting a Solid Resume for Recruiters"